FAMILY-owned construction firm Possco emerged as one of the stars at the Wide Bay Burnett Master Builders Awards ceremony earlier this month. Possco won the highly competitive Individual Home valued between $251,000- $300,000 category. 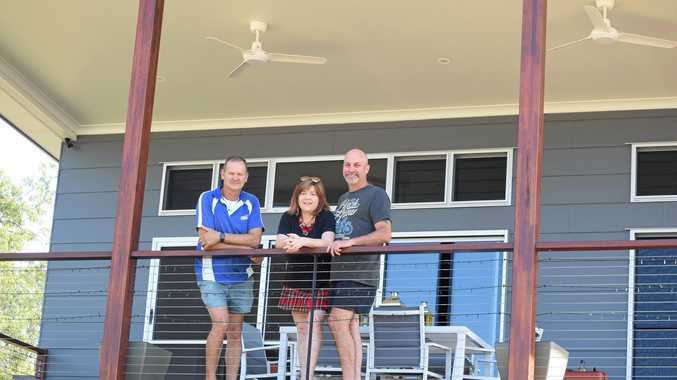 Mark Postle, who constructed the award-winning home with the help of his two sons and an apprentice from Tonga, was delighted to claim the prize. "It's nice to be recognised amongst your peers," he said. The category attracted entries from all around the Wide Bay Burnett Region including from bigger centres such as Bundaberg and Harvey Bay. 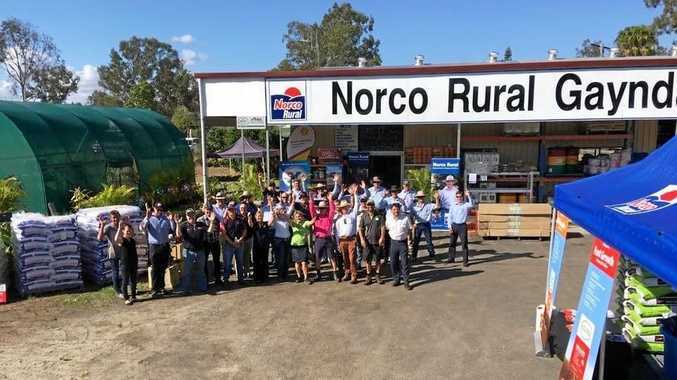 Mr Postle said one of the secrets behind the Mundubbera-based company's success is supporting the town that supports his business. He said he buys local whenever possible and tries to use local sub-contractors. "Where possible we buy everything local, it's something that we do," he said. Owners of the award- winning home, Rebecca and Scott Wicks, said they couldn't be happier with the end result. "It was so exciting, it was a really wonderful experience," Mrs Wicks said. "Building over Christmas wasn't so much but the contractors, like Mark, were always approachable." Mrs Wicks said the tradesmen involved in the build had displayed incredible attention to detail and the home had surpassed their expectations. "It's a really unique house, we didn't build it for resale, we built it for us," she said. "It still feels like the real owners are going to knock on the door and say 'please move out of our house'." Mrs Wicks said the project proved it is possible to build a beautiful home in rural areas. "Beautiful houses can be affordable out in the country," she said. "We do have contractors and we do have terrific builders here." Upon finding out that the house had collected a Master Builders award, Mrs Wicks said she and her husband had yelled with excitement. Mrs Wicks said that her greatest piece of advice for anyone planning to build a home is to gather lots of photos of homes that you like. "That way you can show the contractors exactly what you would like," she said. Mrs Wicks said anybody interested in viewing the award-winning home would be more than welcome to do so and could contact Mr Postle to arrange a time. "We invite everyone up to the house and we want to encourage people to build their own houses if they want to," she said. Mrs Wicks said she had thoroughly enjoyed the building process and would certainly recommend it for others.